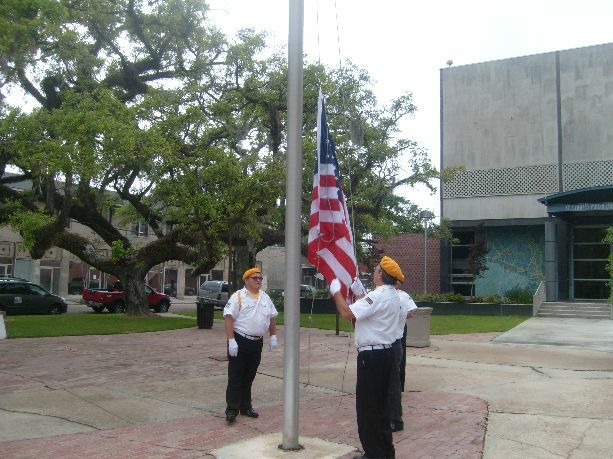 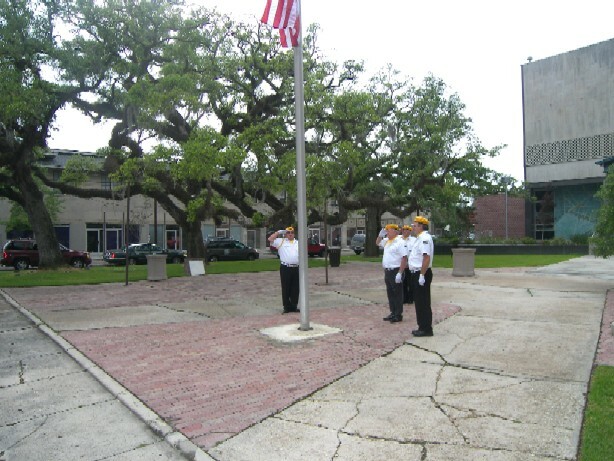 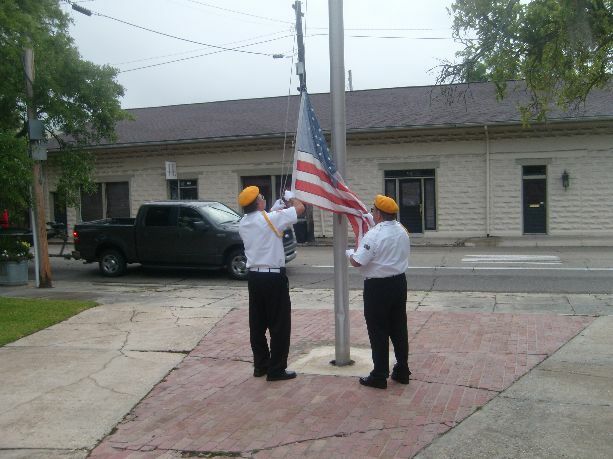 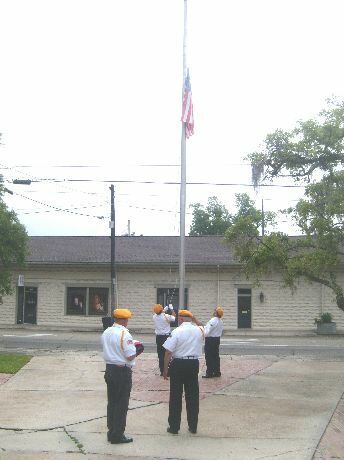 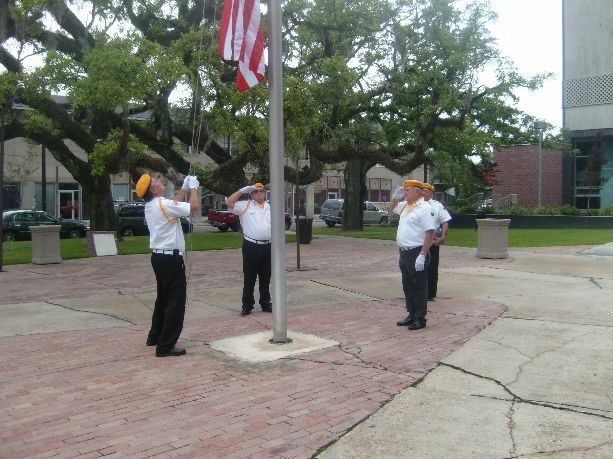 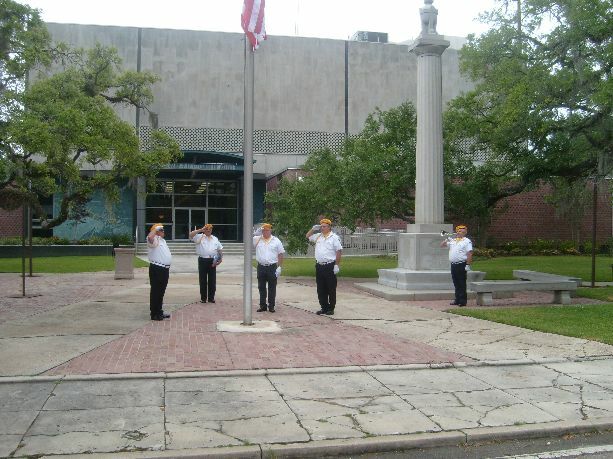 The Post 16 Honor Guard replaced the American Flag at the Old Courthouse in Covington, La. 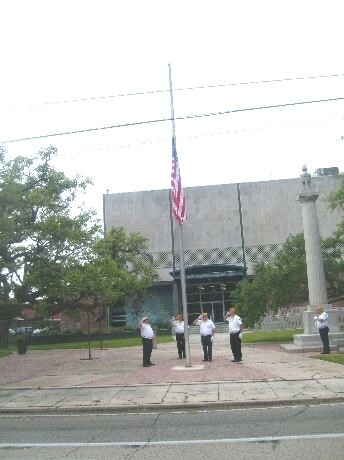 Raising it to full staff, then lowering the flag to half staff in recognition of Memorial Day. 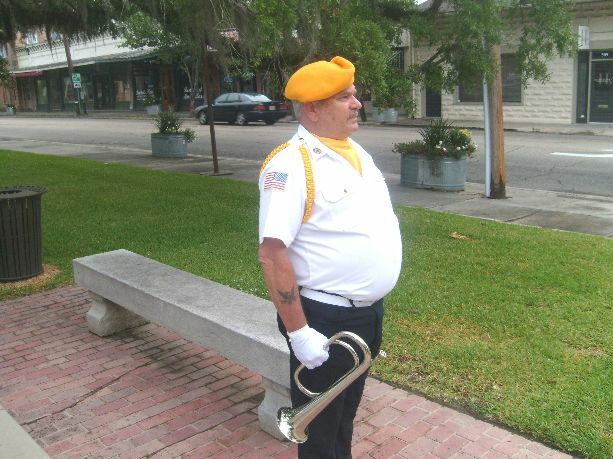 Taps was blown by Honor Guard Commander Clint Lounsbury as the Guard Saluted. 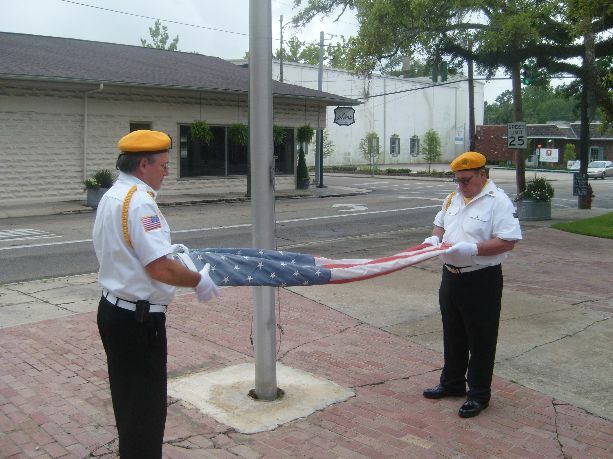 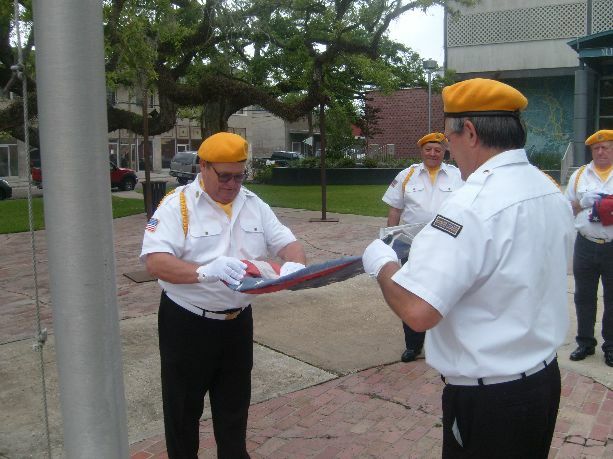 The woren American Flag was removed and folded in the proper manner by Brad Gautreaux and David Rice. 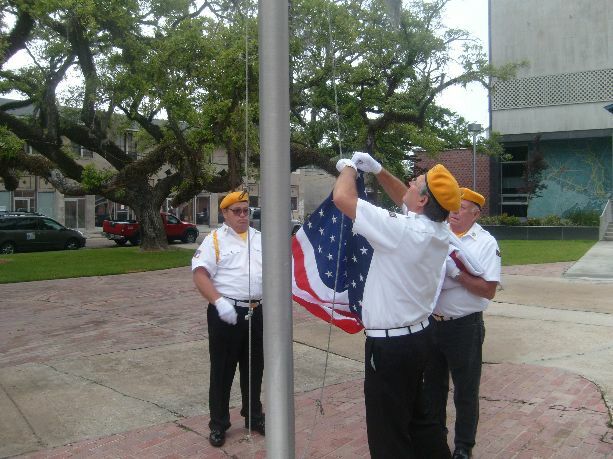 It will be disposed of in a future flag ceremony. 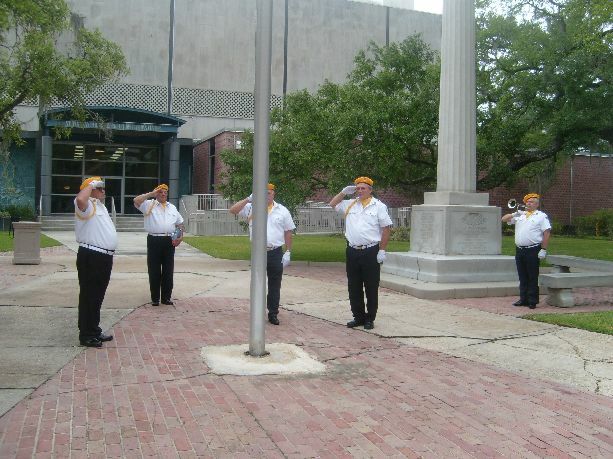 Representative of the Honor Guard were: Clint Lounsbury, Bill Rosevally, David Rice, Percy Naquin, Brad Gauthreaux, Mike Peats (taking photo's) and Roy Kellum (taking photo's.